Deepavali or diwali is the Hindu festival of lights. One of the most popular festivals of Indians, it spiritually signifies the victory of light over darkness, good over evil, knowledge over ignorance, and hope over despair. Diwali falls between mid-October and mid-November. This festival is typically celebrated for three days in Karnataka. Day 1 of Deepavali – Naraka chaturdashi. This day is the celebration of Lord Krishna’s victory over the asura (demon) Narakasura. On this day, we do ‘enne shastra’ (oil ritual). The woman of the house draws rangoli in front of the house. She then does aarti to all the family members and applies oil using a flower on their head, hands and feet. It is believed that taking bath after performing this ritual is equivalent to taking bath in the holy Ganga (ganges). This ritual is done early in the morning before sunrise. Day 2 of Deepavali – Lakshmi puja. Goddess Lakshmi is the Goddess of wealth, fortune and prosperity. On this amavasya (new moon) night, we light up our home beautifully with diya (lamps) and prepare sweet treats for offering to the Goddess. It is believed that the happier Goddess Lakshmi is with her visit to our home, the more she blesses us. Day 3 of Deepavali – Balipadyami. According to Hindu mythology, Bali Padyami commemorates the victory of god Vishnu in his dwarf incarnation Vamana, the fifth incarnation of the Dashavatara (ten major incarnations of Vishnu) defeating Bali, and pushing him to the nether world. But Bali was bestowed a boon by Vishnu to return to earth for one day on this day to be honoured and celebrated for his devotion to the Lord and for his noble deeds to his people. 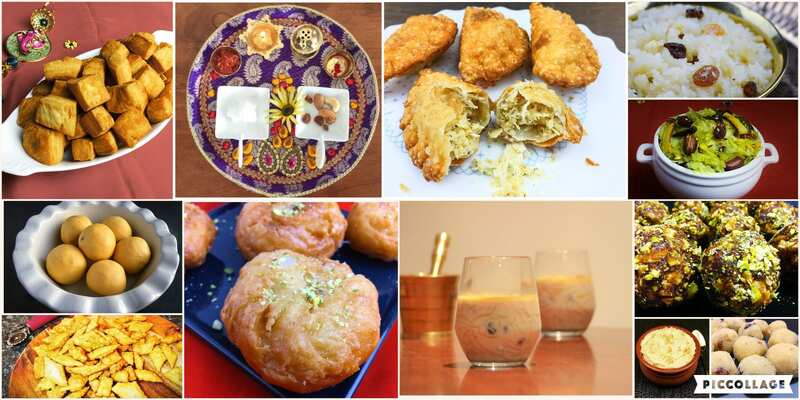 Balushai – Badusha or balushahi: flaky and crunchy from outside, soft and melt-in-mouth from inside, these Indian doughnuts are to die for!